As a kid I used to hate drinking milk and this habit has stayed with me even in my adult years. I like all dairy products and also enjoy my milk shakes but cannot stand the sight of plain white milk. So how do I ensure my calcium intake ? By eating loads and loads of yoghurt. I never miss a small cup with my lunch or an occasional fruit yoghurt smoothie to keep the mid day hunger pangs at bay. 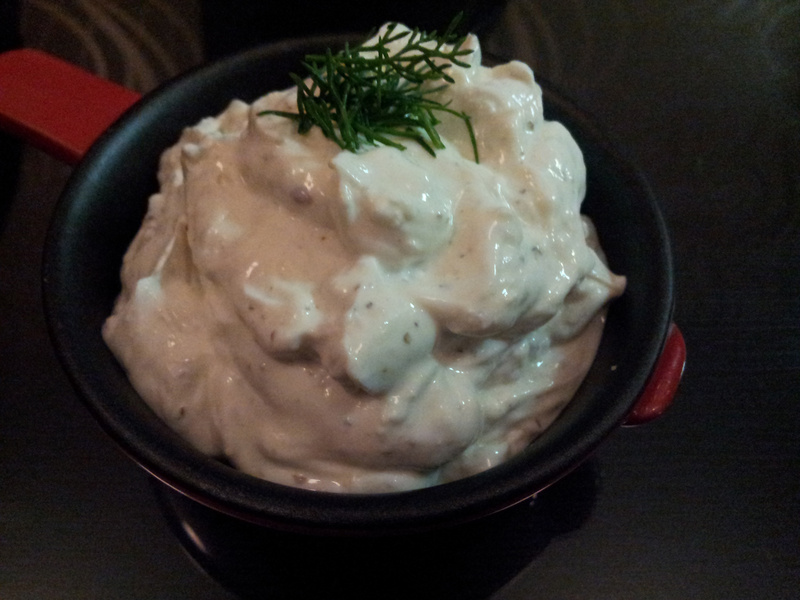 I also like incorporating yoghurt in different dips and sauces. 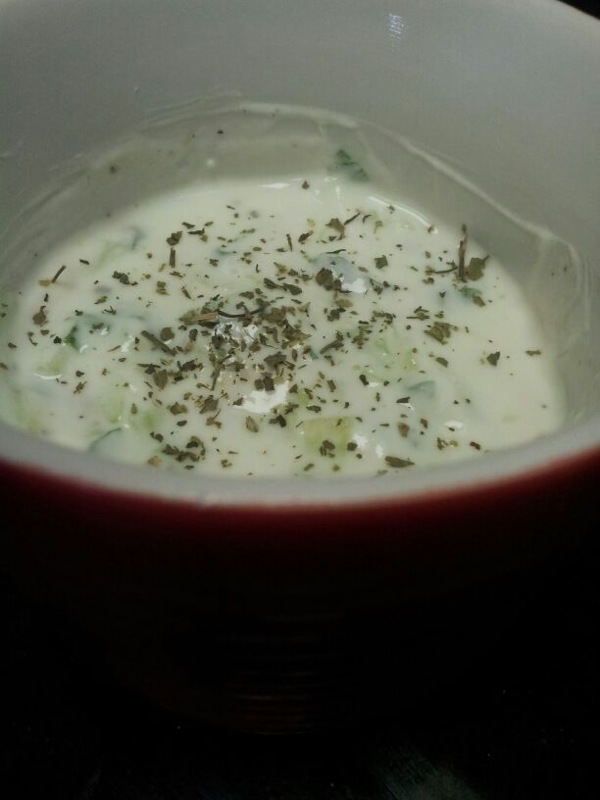 This recipe is for a Greek sauce Tzatziki, simply said a yoghurt and cucumber dip. This is closer to the Cucumber Raita minus the garlic, we Indians are used to eating at home with Vegetable Pulao (pilaf). I usually use a cheese cloth to strain the yoghurt for 4-5 hours or even longer if you wish. Else you can also buy Greek yoghurt readily sold in supermarkets, which I find horribly expensive. You can also use low fat yoghurt but I like the full cream yoghurt since the texture for the dip comes out beautifully. After all the water has been drained from the yoghurt, you can add finely grated cucumbers. You can even chop them finely if you wish. Make sure to drain all the juice from cucumbers beforehand. You don’t want a runny dip. Now add the cucumbers, finely grated garlic and dill leaves to the mixture. You can choose any herbs you prefer like mint or parsley. Once I did not have any fresh herbs, so I just used dried mint powder and it still tasted good. Here’s a picture for the same, this time around I did not strain the yoghurt enough and hence it is runny. Add a generous drizzle of olive oil. Season with salt and black pepper to taste and mix it well. Refrigerate for 2 hours or more for the flavours to seep in and the dip is ready to be served. Finish it off with a garnish of few sprigs of dill. Serve with toasted pita bread, roast baby potatoes or carrots. This dip stays well for up to 3 days when refrigerated.